Brew the Tea: Heat the water and add the teabags. After 3 minutes steeping, remove the bags and mix in the honey. Let the mixture cool in the refrigerator for an hour. After it's cooled, mix in the juice from the limes. Make the Bubbles: Mix the gelatin according to the box instructions. Allow to cool in the fridge for about an hour, stirring occasionally. You want it to thicken, but not to solidify. Fill a large bowl with ice water. 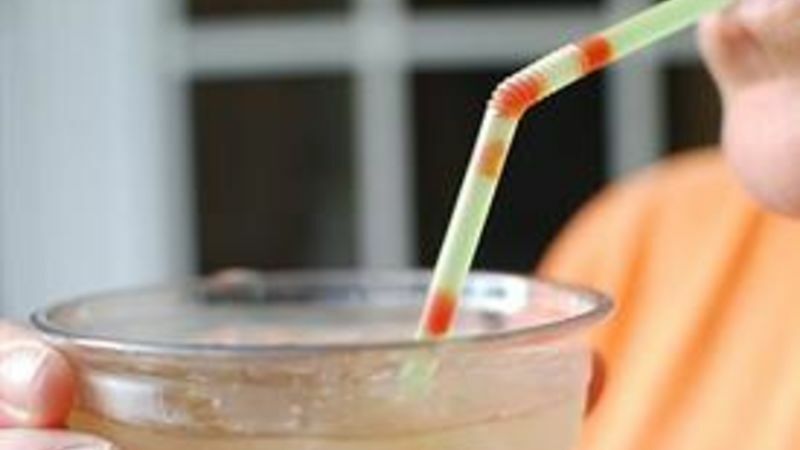 Using a straw, trap some of the gelatin mixture in the straw and allow it to slowly drip into the ice water. Orbs should form and sink to the bottom of the bowl. Remove the ice from the bowl, and pour the remainder into a mesh strainer. Pour raspberry gelatin orbs from the strainer into a bowl and stash in the fridge. Make the Drinks: Pour your green tea mixture over ice and add a couple spoonfuls of the raspberry bubbles. Serve with a straw! Bubble tea is commonly made from tapioca pearls so large that they need to be sucked through a super wide straw. First, where in the world can you find those huge straws? I looked around a bit with no luck. Second, these large tapioca pearls aren't exactly readily available at every grocery store either. Third, I like things to be customizable, and with tapioca bubbles in every type of tea, that leaves little room for variation. I created this alternative recipe for a fun bubble tea that uses gelatin instead of tapioca. Now, the world is your palate when coming up for innovative variations on bubble tea. Not only is there tons of gelatin flavors to choose from, you can even use unflavored gelatin and make anything you want into bubbles for your tea! My favorite so far is this Raspberry-Lime Green Bubble Tea recipe that I could literally drink every single day. Making the gelatin the way they say to on the package. I let it sit in the fridge about an hour to thicken, but don’t wait too long or it will solidify! Using a straw, trap some of the raspberry mixture, and let it drip out into a bowl of ice water. All of the spheres should sink, and you can easily fish out the ice. Strain these in a mesh strainer. I just left them in a bowl in the fridge until I was ready to use them. But it wasn’t all that much later. The raspberry bubbles were perfect in this lime green tea. They added just enough sweetness and flavor to the drink. The best part is you don’t need a huge straw!